Over the next two years more outsourcing is predicted for Europe, although the rate is somewhat decreasing compared to last year. Seventy-five percent of respondents plan to outsource at the same rate or more, but the number of companies planning to outsource more has decreased from 44% to 38% in comparison with last year. The number of companies looking to outsource less (insource) remains stable. The main objectives to outsource for clients are cost reduction, focus on core business and access to resources. Overall, respondents are satisfied with their IT service provider(s), with 88% of the 5000 IT sourcing relationships being evaluated as satisfactory. TCS achieves 1st place for a consecutive year with a general satisfaction score of 79%, followed closely by Google (78%), Amazon Web Services (AWS) (77%), Hexaware (76%) and Salesforce.com and LTI (both at 75%). Deloitte is the only new entrant in this year’s ranking with a score just above the 69% average. The full European report contains rankings by IT domain, country, industry and contract size. This year we have asked organisations about technology trends related to Agile, robotics and artificial intelligence. More than 50% of participants are already using Agile as the preferred delivery model while another 30% plan to adopt it. By industry, the financial services sector has the largest adoption (61%) while use of Agile within the public sector is much lower at 41%. Although robotics and artificial intelligence are not yet widely adopted (due to barriers such as a lack of awareness by the business and IT, as well as maturity of these technologies), 68% of clients cite that the benefits are significant or even very significant. The financial services sector is again significantly ahead of other sectors, with almost three quarters of financial services organisations already using robotics and AI compared to 50% of public sector and other industry sectors. To request a copy of the European management summary, please click on the button below and fill out the required information. 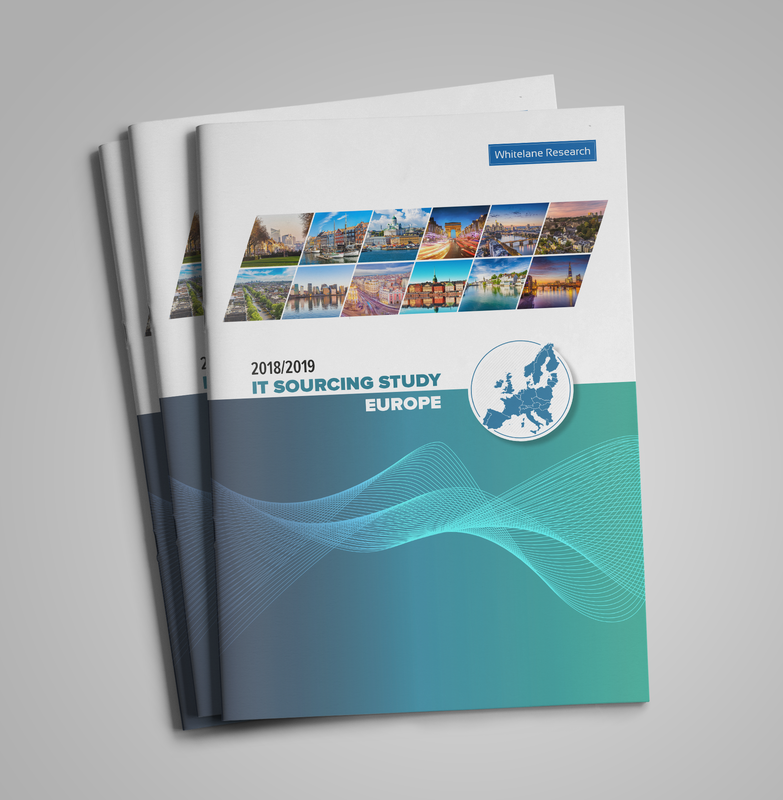 If you would like to purchase a copy of the full European report containing more detailed information, such as the main sourcing trends, ranking of the service providers by IT domain, 8 different KPIs, country, industry and contract size, please email info@whitelane.com.